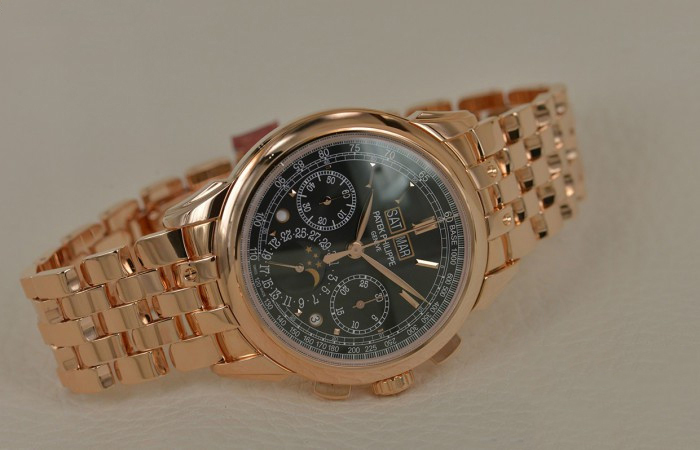 Since 1941, Patek Philippe has been producing complicated timepieces with Perpetual Calendar functions. 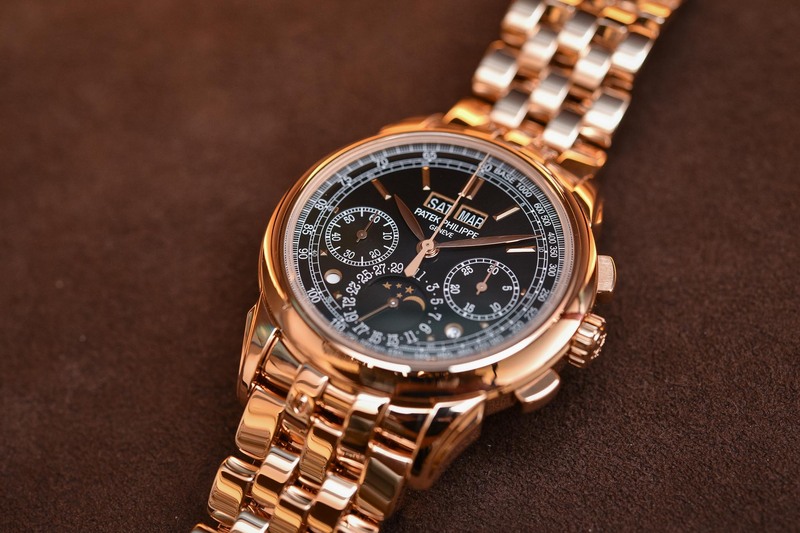 After the development of the brand, the chronograph perpetual calendar has become one of the iconic complex functions of the Patek Philippe brand. It has continuously improved the movement process and design to attracting the audience. In 2018, Patek Philippe exhibited the 5270/1R-001 rose gold case and watch bracelet super complex watch at the Basel exhibition. After the debut, it won wide attention. 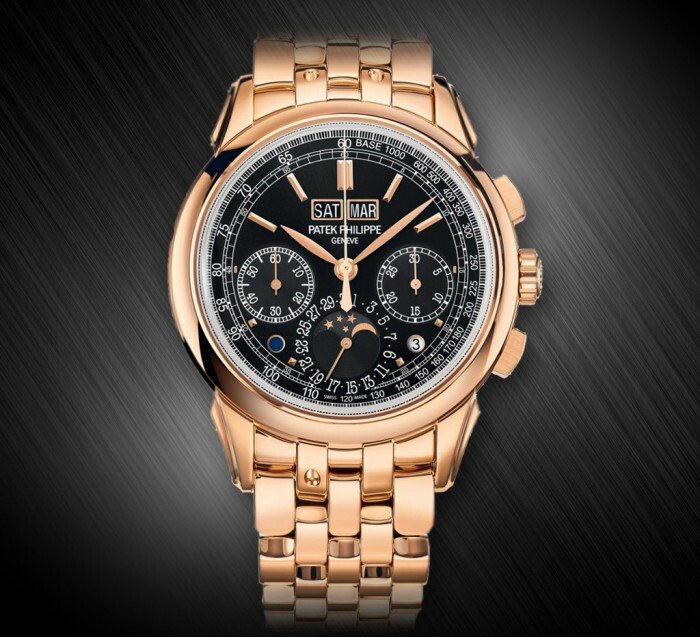 Today, just follow the most beautiful rose gold watch in Men’s hearts, the Patek Philippe Grand Complications Perpetual Calendar Rose Gold Chronograph 5270/1R-001. This watch dial layout is based on the classic pattern of the Patek Philippe Perpetual Calendar. It also adds a day and night display window and a leap year display window. The design is streamlined and clever, and the rich display function is well organized and without any clutter. It shows Patek Philippe’s rigorous watchmaking process. 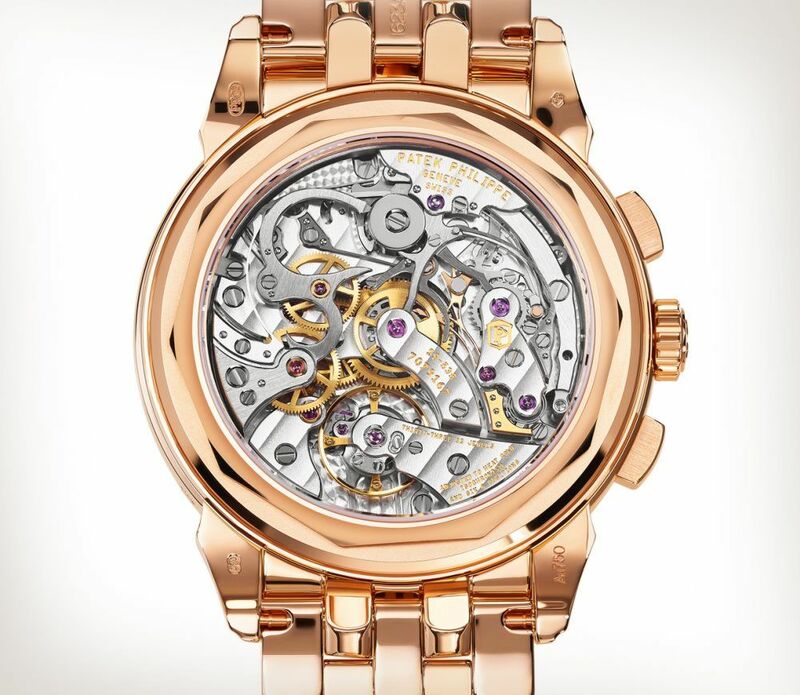 The case is made of 18K rose gold with a delicate finish. It has a super-clear luster and a smooth touch, creating an extraordinary visual experience with a diameter of 41 mm and a thickness of 12.4 mm. 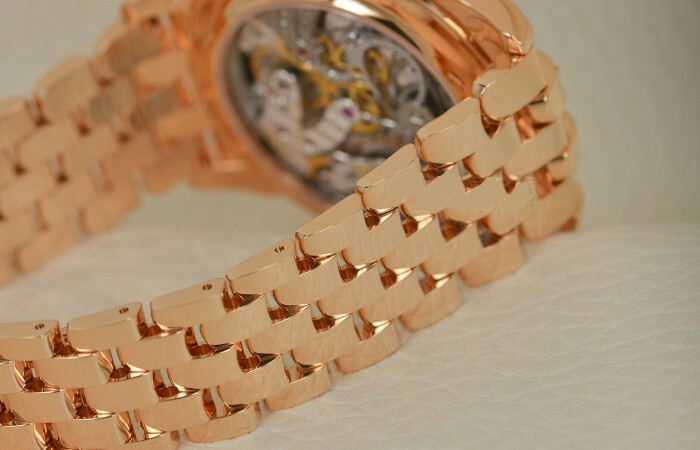 The polished finish worn on the men’s wrist is extraordinarily chic and conspicuous. The crown and square chronograph buttons are located on one side of the watch, and the square buttons continue the classic design elements, giving them a first-class feel for easy everyday adjustments. The top of the crown is engraved with a branded LOGO pattern, showing the brand’s exclusive wrist aesthetics. The dial is made of ebony black with sunburst pattern, which makes it possible to change the luster of various poses under the light. The static black dial has a gold three-dimensional hour mark, and the chronograph hands are sandblasted. There is a clear calibrated scale on the outside of the dial, and the matte texture reflects the charm of men. The ebony black panel ensures clear reading. The moon phgase display panel and date display function are available at 6 o’clock on the dial. There is a 30-minute counter at 3 o’clock and a small second at 9 o’clock. There are days and months display window on the dial. On the dial between 7 o’clock and 8 o’clock, a small window showing day and night is newly set up. The observation is very clear and convenient. From 4 o’clock to 5 o’clock, there is a display window for the leap year. The overall layout is more elegant and harmonious. The watch is paired with Patek Philippe’s exclusive gold “Goutte” bracelet, which blends in with the case and shines in the wrist. With the folding clasp, the Patek Philippe Cross Star logo is engraved, and the details are full of sincere brand watchmaking process. 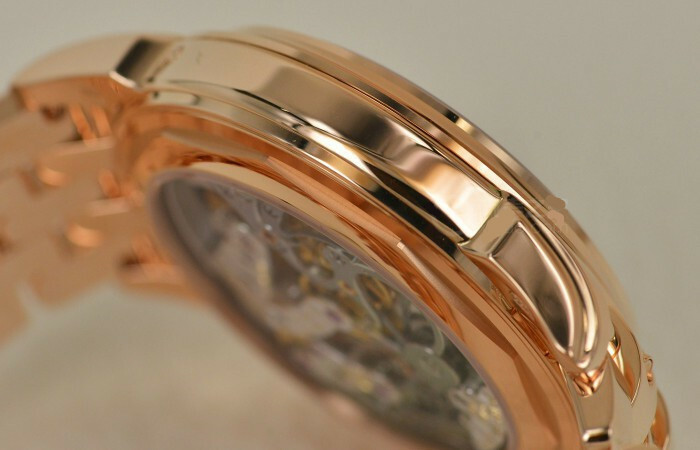 The bottom of the watch is designed with transparent sapphire, and the movement can be observed through it. Patek Philippe confidently displays the beauty of the movement in front of everyone. The interior is equipped with a hand-wound movement CH 29-535 PS Q, which is continuously innovative and optimized on the basis of tradition. The power reserve can be at least 55 hours and the maximum is about 65 hours. 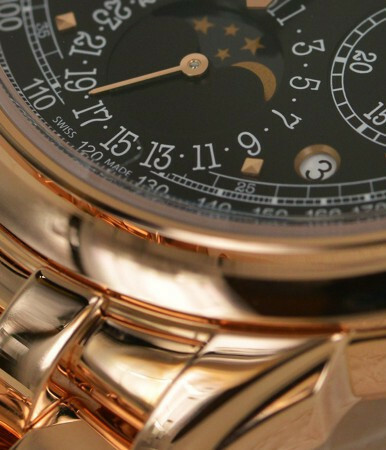 Patek Philippe’s super-complex craftsmanship has not been disappointing to everyone. 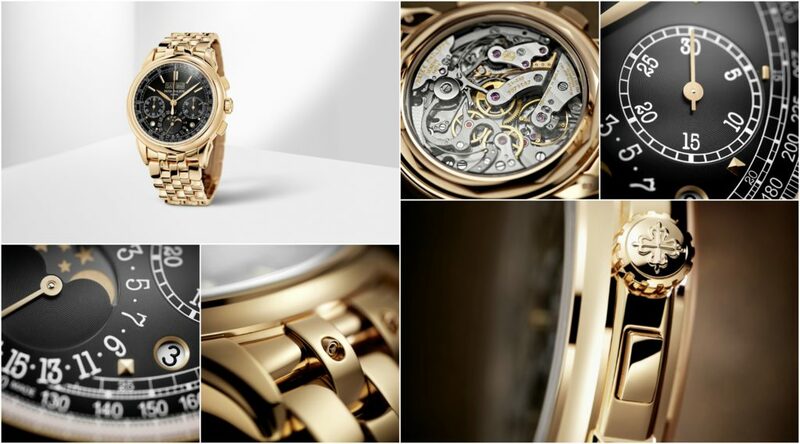 It has always been a passionate watchmaking attitude to present us with a stunning masterpiece.